Thank you for visiting Devil Gang - A Manchester United Fans Forum, as soon as you join us you will have access to post in our forums and interact with the members. Registration takes less than two minutes to complete! » After all this time? » Alright then, how many goals do you think our strikers will score? » Brown: Giggs is better than Pele! » Joe Cole signs for Liverpool! » Fifa names Young player and Golden Ball shortlist. 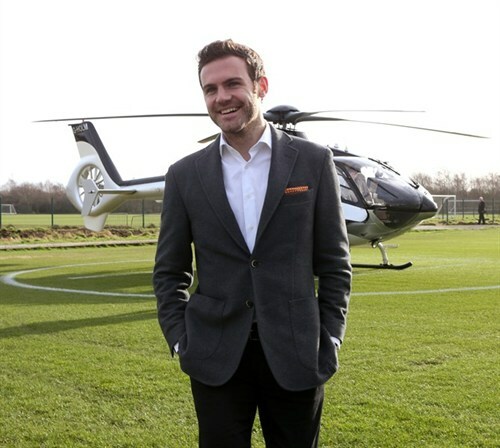 Man Utd have completed the signing of Juan Mata for a cub record fee of 37.1 million pounds. Great signing, and what a guy. Just look at him and feel extremely inadequate. Inter Milan president Massimo Moratti has confirmed that Manchester United are interested in midfielder Wesley Sneijder. The 26-year-old Holland international has been linked with a move to the Premier League side following an impressive World Cup. Manchester United are weighing up a £13m bid for Belgian midfielder Steven Defour. United boss Sir Alex Ferguson has been a fan of the Standard Liege player for some time, but will have to wait until he recovers from a broken foot before making a bid. Alright then, how many goals do you think our strikers will score? in the league that is. Rovers have swooped to secure a loan deal for Manchester United's highly-rated young striker Mame Biram Diouf. The Senegalese international arrives on a season-long deal at Ewood Park. Diouf, 22, who signed for United last July from Norwegian side Molde, made six appearances for the Reds last season scoring once, against Burnley.